Shop online for 26 armourfast plastic models at discounts up to 28%. Cars / Trucks / Vehicles is the most popular of the 3 armourfast plastic models categories, then Figures, and Dioramas. 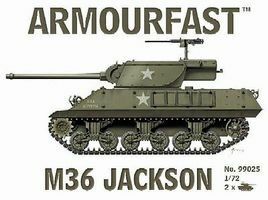 This is the 1/72 Scale M36 Jackson Tank (2) Plastic Model Kit From Armourfast. 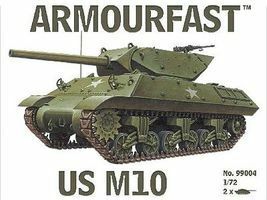 This is the 1/72 Scale US M10 Tank (2) Plastic Model Kit From Armourfast. 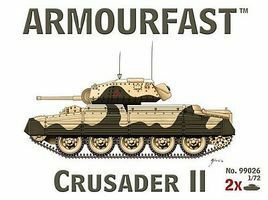 This is the 1/72 Scale Crusader II Tank (2) Plastic Model Kit From Armourfast. 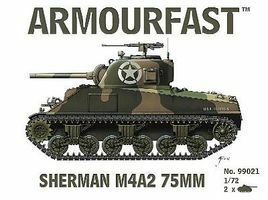 This is the 1/72 Scale Sherman M4A2 75mm Tank (2) Plastic Model Kit From Armourfast. 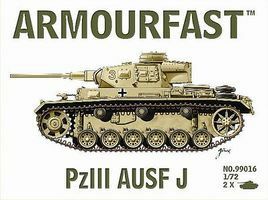 This is the 1/72 Scale Panzer III Ausf J Tank (2) Plastic Model Kit From Armourfast. This is the 1/72 Scale Panther Ausf G Tank (2) Plastic Model Kit From Armourfast. This is the 1/72 Scale Sherman M4A3 Tank w/76mm Gun (2) Plastic Model Kit From Armourfast. 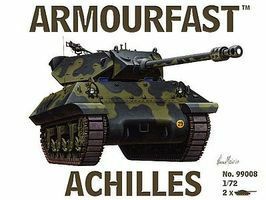 This is the 1/72 Scale Achilles Tank Destroyer (2) Plastic Model Kit From Armourfast. This is the 1/72 Scale Panzer III Ausf G Tank (2) Plastic Model Kit From Armourfast. This is the 1/72 Scale StuH 42 Tank (2) Plastic Model Kit From Armourfast. This is the 1/72 Scale Jagdpanther Tank (2) Plastic Model Kit From Armourfast. This is the 1/72 Scale Pz IV G Tank (2) Plastic Model Kit From Armourfast. This is the 1/72 Scale 2-Story Farm House Plastic Model Kit From Armourfast. This is the 1/72 Scale Valentine Mk II Tank w/Side Skirts (2) Plastic Model Kit From Armourfast. 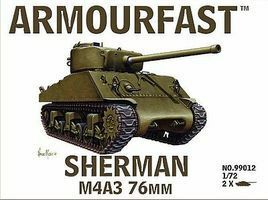 This is the 1/72 Scale Sherman M4 Tank (2) Plastic Model Kit From Armourfast. This is the 1/72 Scale LeFH18 105mm Howitzer Gun (2) & Crew (8) Plastic Model Kit From Armourfast. This is the 1/72 Scale WWII German Machine Gun Team (24 & 8 Guns) Plastic Model Kit From Armourfast.